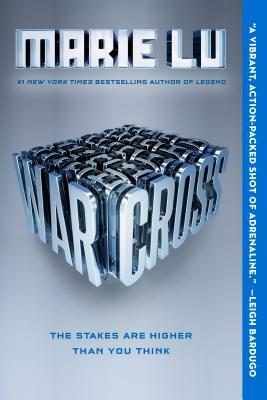 Warcross (Paperback) | Fountain Bookstore, Inc.
A YA mashup of Ready Player One and Blade Runner! Fun, fast paced, with an ending that will make you want to become a hacker and hack into Lu's computer (I am not actually suggesting or condoning this, and thankfully I am way too old and lazy to turn hacker) to read the draft of book 2! I really enjoyed this book and the narration on the audiobook (available through our Libro.fm account) was fantastic! Marie Lu is the author of the #1 New York Times bestselling series The Young Elites, as well as the blockbuster bestselling Legend series. She graduated from the University of Southern California and jumped into the video game industry as an artist. Now a full-time writer, she spends her spare time reading, drawing, playing games, and getting stuck in traffic. She lives in Los Angeles with her illustrator/author husband, Primo Gallanosa, and their dogs.